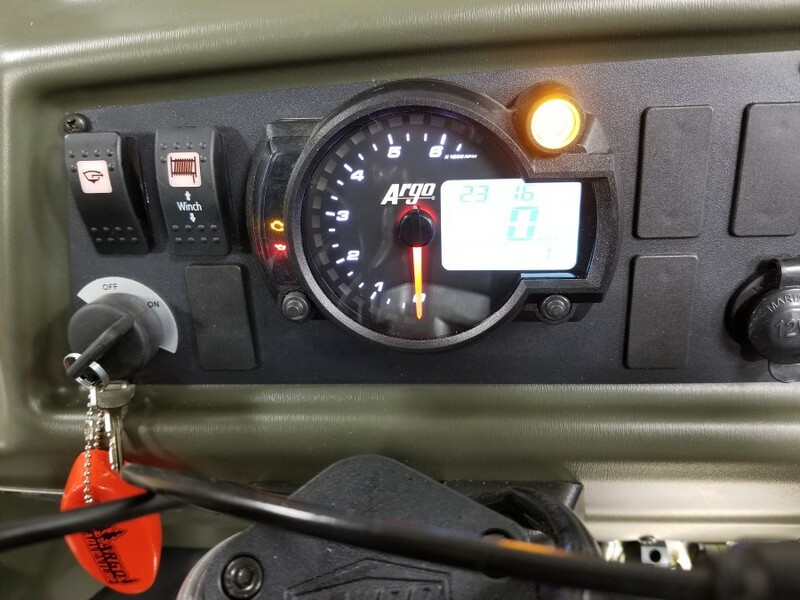 New for 2019 is the Aurora 800 8x8 that features an all-new steering system, flat floor, standard removable rear seat, 20% more driver compartment room with steering on the left side of the vehicle, handlebar controls with push-button start, high/low headlight switch and the ability to now start the vehicle in gear by pulling the brake and pushing the start button. 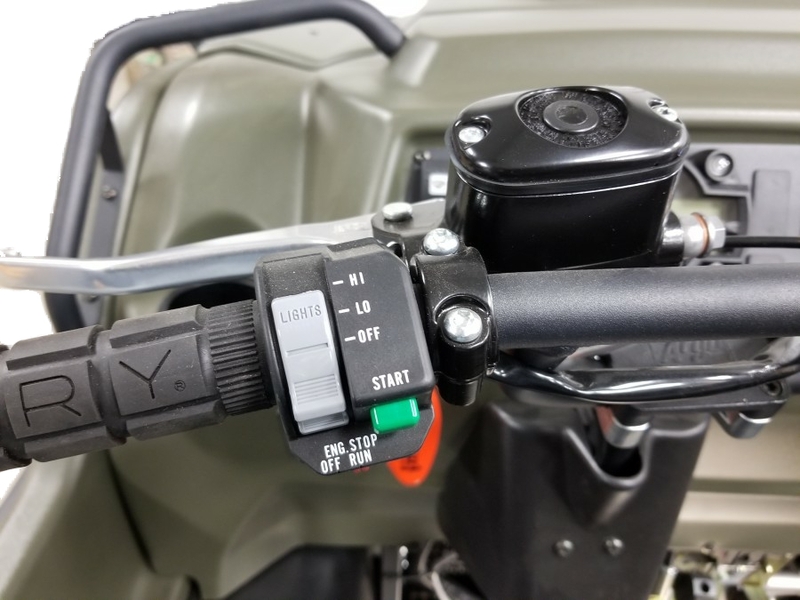 A new speedometer/tachometer display is a welcome upgrade and a high mounted transmission shifter will eliminate your knees from hitting the shifter like on previous models. 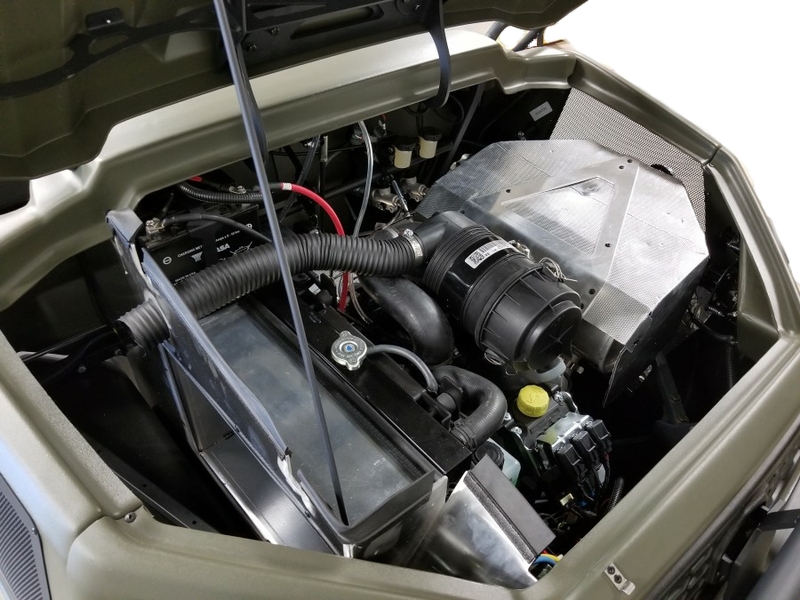 Increased under hood volume will keep things cooler and an insulated firewall will increase driver comfort. 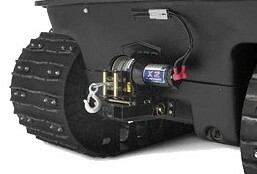 Power comes from a Kohler 30hp EFI liquid cooled gas engine which provides excellent power in the deepest mud or snow and is mated to the efficient Admiral triple differential transmission in standard 6.2 or high torque 8.1 gear ratios that allow the vehicle to turn effortlessly even with tracks installed. 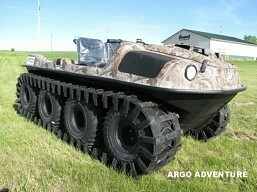 New Argo designed 25x12-9 (635 mm) mud and swim tires mounted on 9" offset steel rims combine to give this machine great traction and best in class payload all while providing a water speed of 3.0 mph. 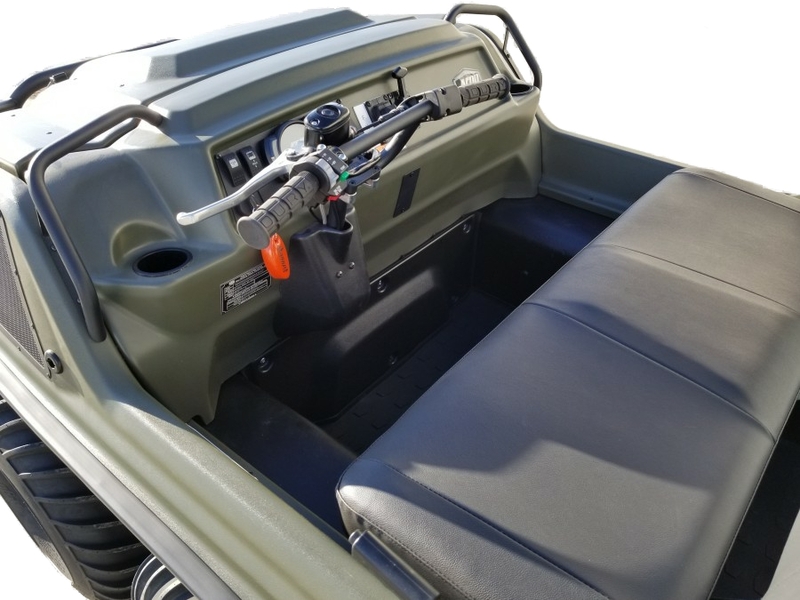 Standard equipment includes a bilge pump, full-length skid plate, front, and rear bearing extensions, 9" steel offset rims, high/ low headlights and led rear tail lights. 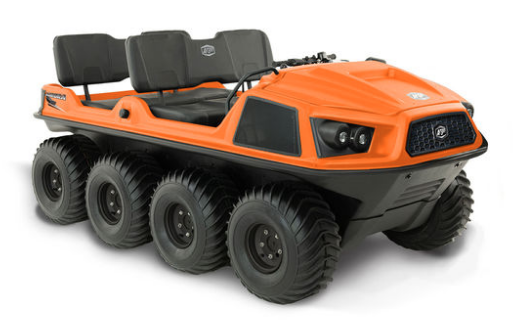 The Aurora 800 8x8 is equally well suited for hard work as it is for play providing many commercial and government customers a workhorse in their fleet, yet it's refined and comfortable for all of your recreational needs. 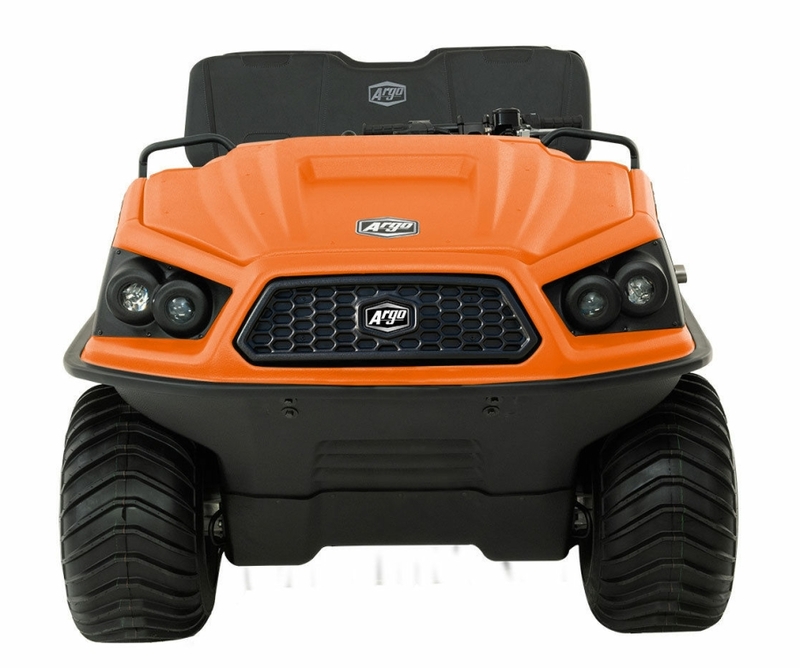 Available colors are orange or tundra green. 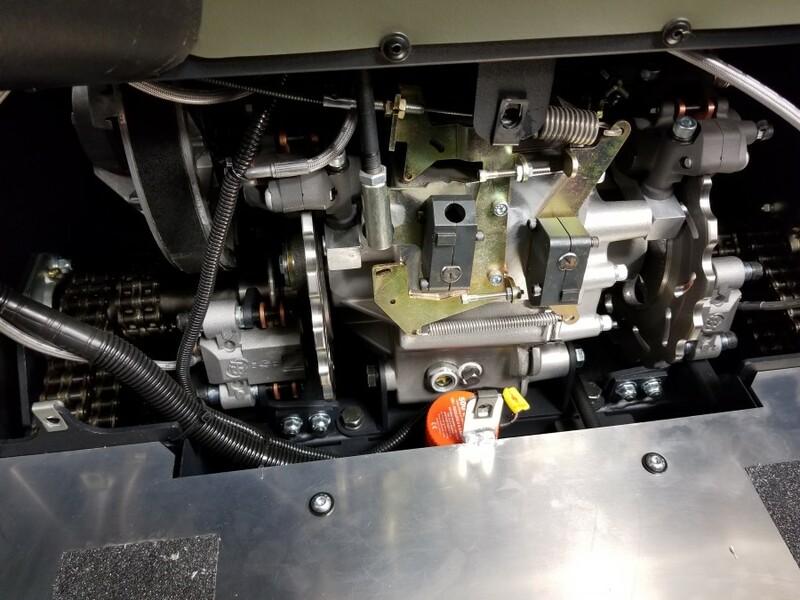 Updated 1.375" extreme duty steel forged axles mounted on off-set steel rims allow for a quick and reliable conversion to run tracks. 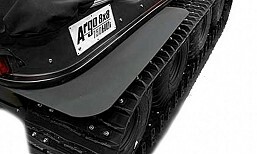 Gone are the days of adding wheel spacers and lug extenders. 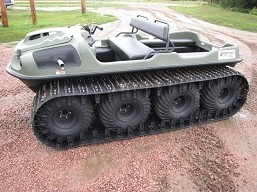 All you need to do is turn the rim around, reinstall the lug nuts and slide the tracks on. 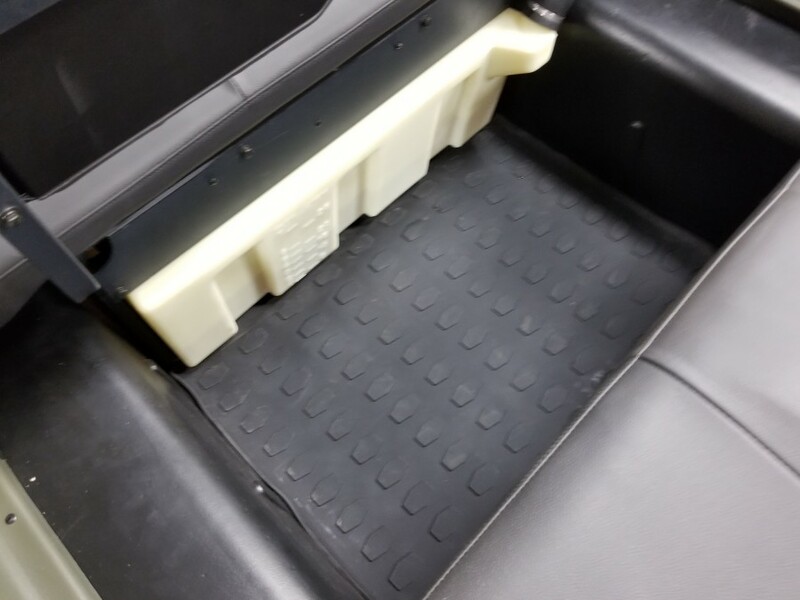 This new design greatly improves durability and reduces installation time. 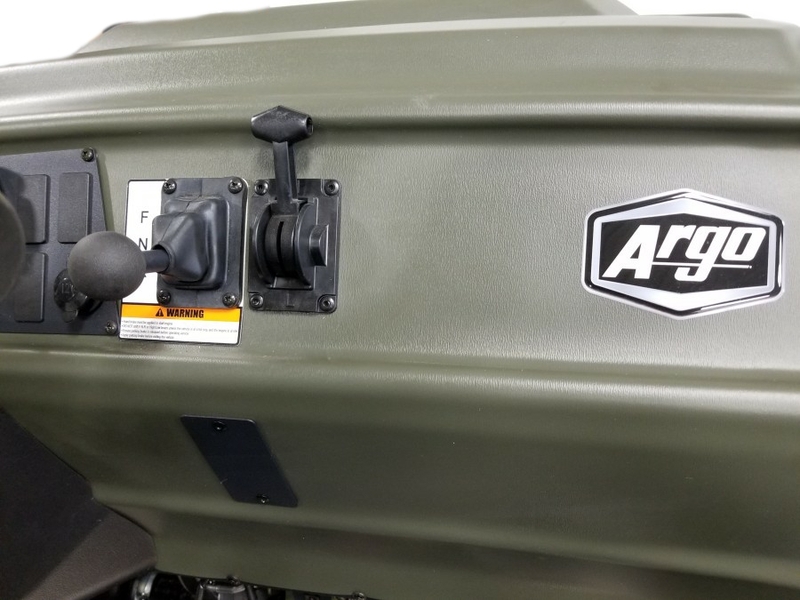 The Aurora 800 8x8 is powered by a 4-stroke OHV V-Twin liquid cooled 748cc, 30 hp (22 kW) Kohler Aegis ELH 775 engine with electronic fuel injection. 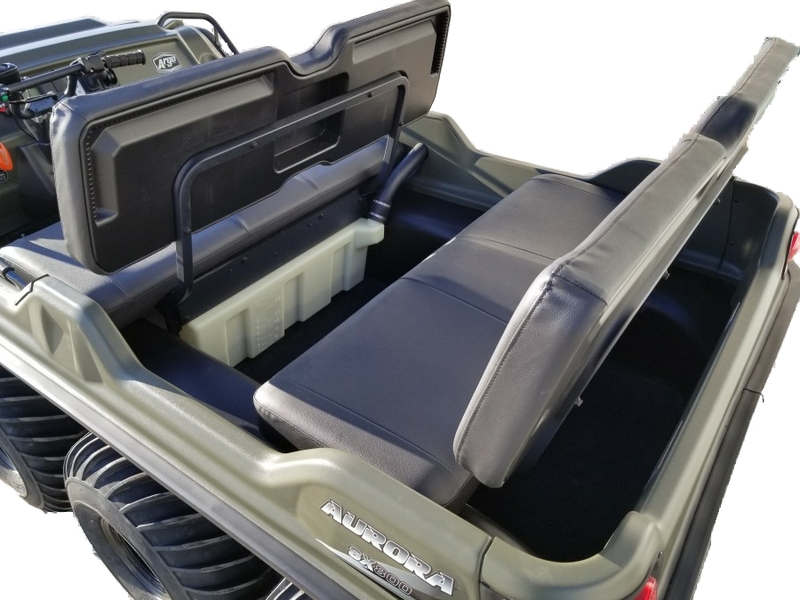 It has a load capacity of up to 1070 lb. 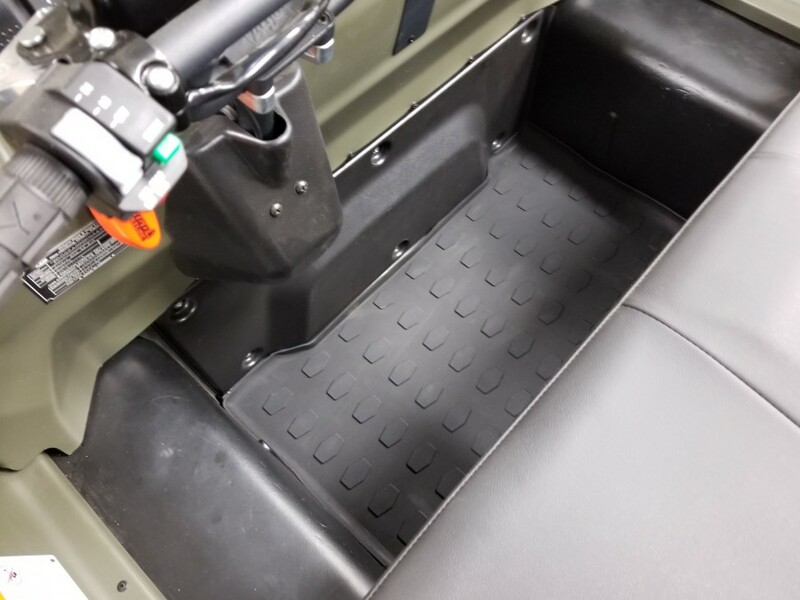 / 485 kg on land or 920 lb. 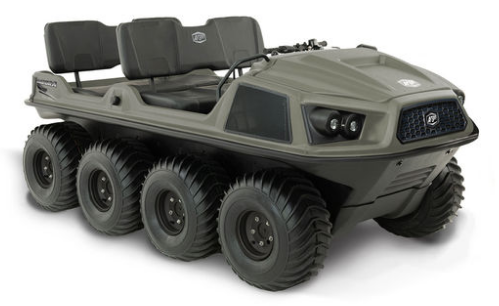 / 417 kg on water, can transport 4 passengers on land, 4 on water and features a towing capacity of 1800 lb. 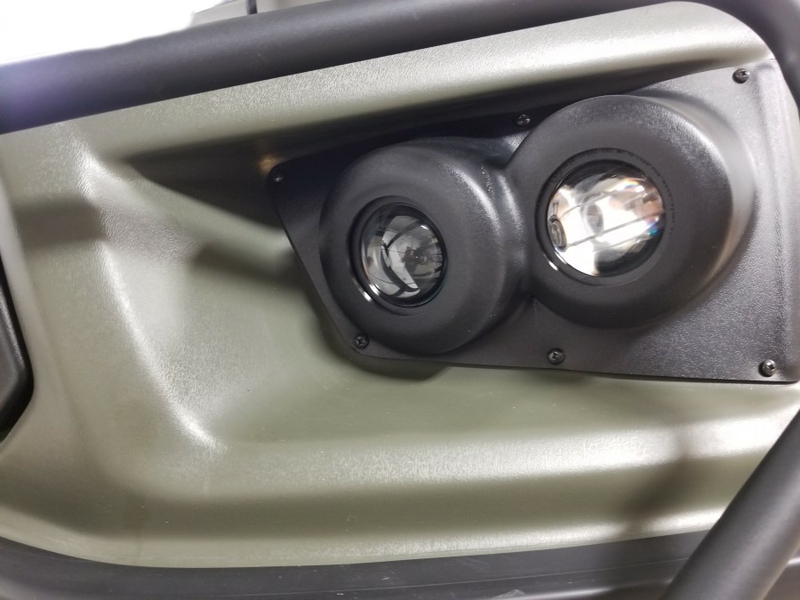 / 816 kg. 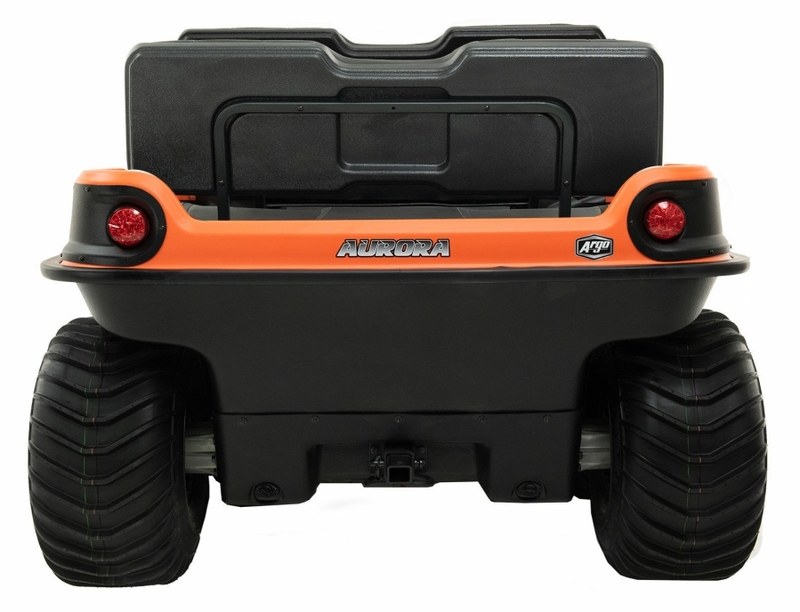 The Aurora 800 8x8 is available in tracked or non-tracked configurations. 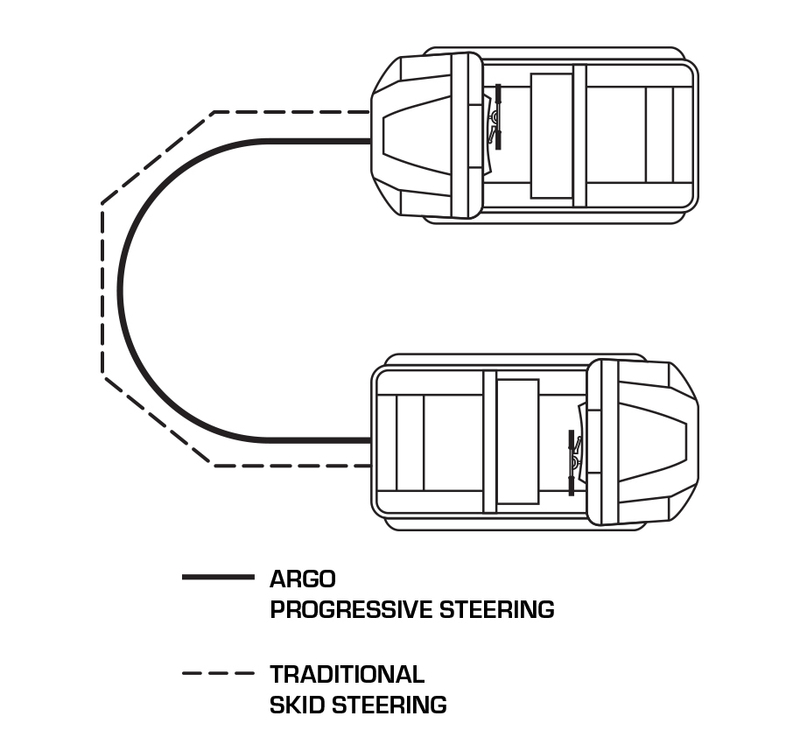 An all-new steering system called APS (Argo Progressive Steering) is an innovation in the area of braking force applied to the transmission steering differential. 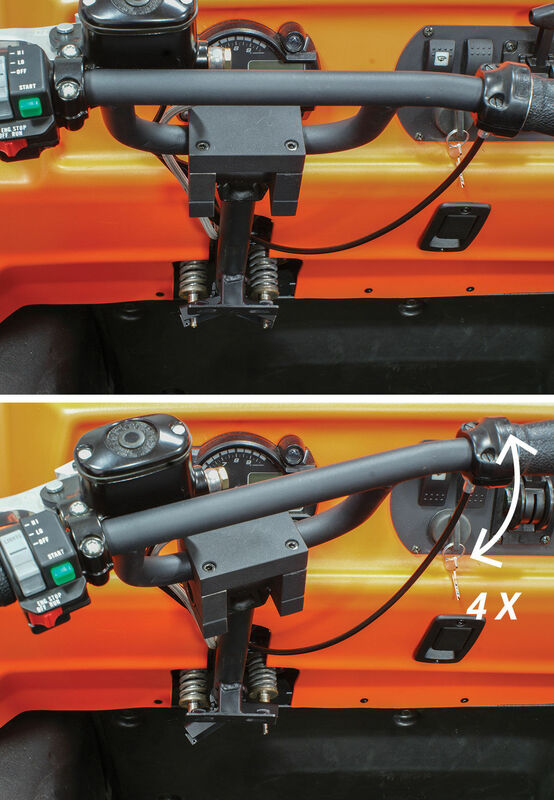 This new steering system implements a dual-rate progressive spring allowing the vehicle to turn in one continues motion making the vehicle easier and more comfortable to drive.